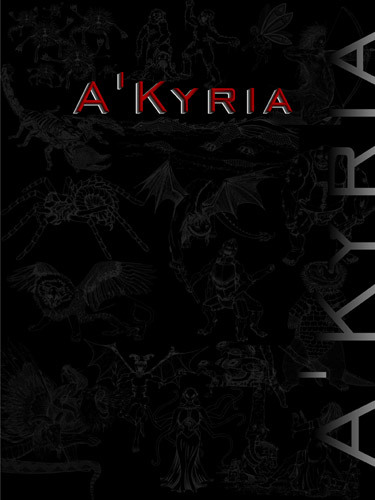 The Kead Battle Pod is an individual digital creature tool for generating encounters for the A’Kyria tabletop RPG system, developed to assist you in creating your own adventures. The Kead are a nightmarish combination of three eyes, three nose slits, three legs, and four arms with a single large tri-hinged mouth with fangs. They are covered in tough hide and wear specialized armored plates. 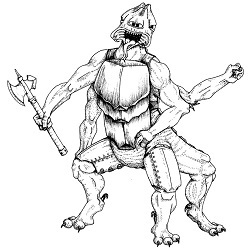 The Kead are a tribal race of creatures with a distinct language and a warrior culture. They can be reasoned with and even convinced to barter or trade, but they are a bristly race with a tedious and confusing code of honor. One wrong gesture and you will find yourself trading blows with these proud and fierce creatures.